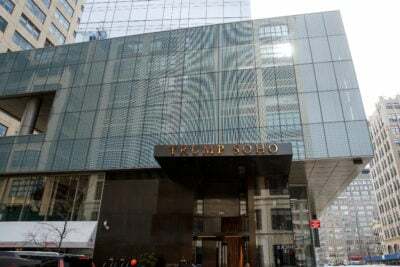 Propublica is reporting today that in 2012, New York prosecutors were on the verge of indicting Ivanka and Donald Trump, Jr., for fraud related to inflating numbers to generate sales of Trump SoHo units. Propublica’s timeline shows how Trump lawyer Marc Kasowitz used large political donations to influence DA Cyrus Vance, and coincidentally Vance thwarted the indictments. I note that Vance is up for re-election in November 7, 2017 and already won the Democratic nomination unopposed. I would love to know more about his Republican opponent. “In 2010, when the Major Economic Crimes Bureau of the D.A.’s office opened an investigation of the siblings, the Trump Organization had hired several top New York criminal defense lawyers to represent Donald Jr. and Ivanka. These attorneys had met with prosecutors in the bureau several times. They conceded that their clients had made exaggerated claims, but argued that the overstatements didn’t amount to criminal misconduct. Still, the case dragged on. In a meeting with the defense team, Donald Trump, Sr., expressed frustration that the investigation had not been closed. Soon after, his longtime personal lawyer, Marc Kasowitz entered the case.